After Florida – can America change its gun laws? On 14 February 2018 at about 2pm in the afternoon, a 19 year old former student, armed with a duffle bag packed with loaded weapons, entered Stoneman Douglas High School in Florida. In a rampage that lasted 6 minutes he killed 17 people – 14 students and 3 teachers. 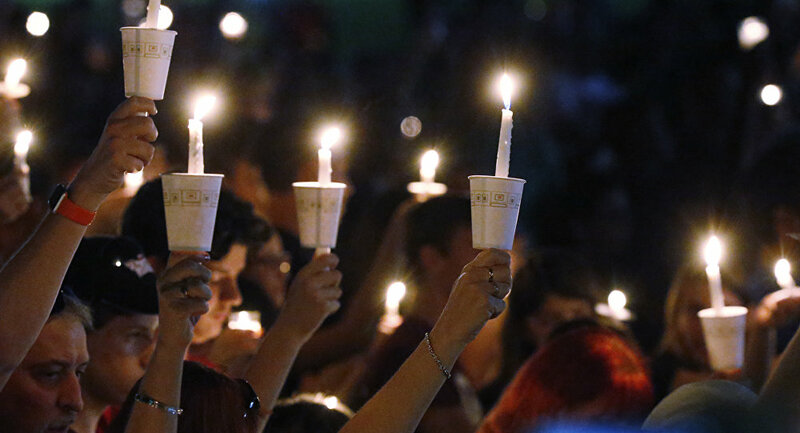 Like so many, tragic, brutal school gun massacres before, there has been an immediate widespread outpouring of anger, and a desperate plea for tighter gun controls. Powerfully, this clarion call has risen above the usual script of “thoughts and prayers” and even above President Trump’s latest diversion which has been to argue that the shooting is about mental illness. 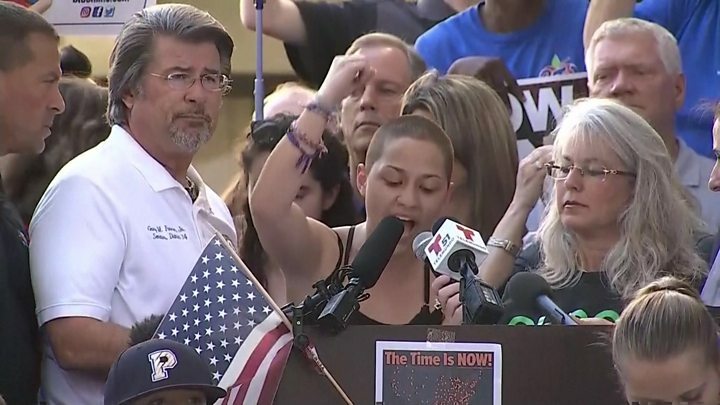 There is a hope here in Florida that feels different to previous tragedies, and that is because of the powerful political analysis coming from the students. Spontaneous advocacy around gun control has happened before, for instance the successful movement Moms Demand Action on Gun Violence, was born out of the Sandy Hook tragedy. But even more dramatically here in Florida – it is the actual survivors that are the advocates. And they are not biting their tongues. Can their authentic political leadership create breakthroughs that have evaded this space before? 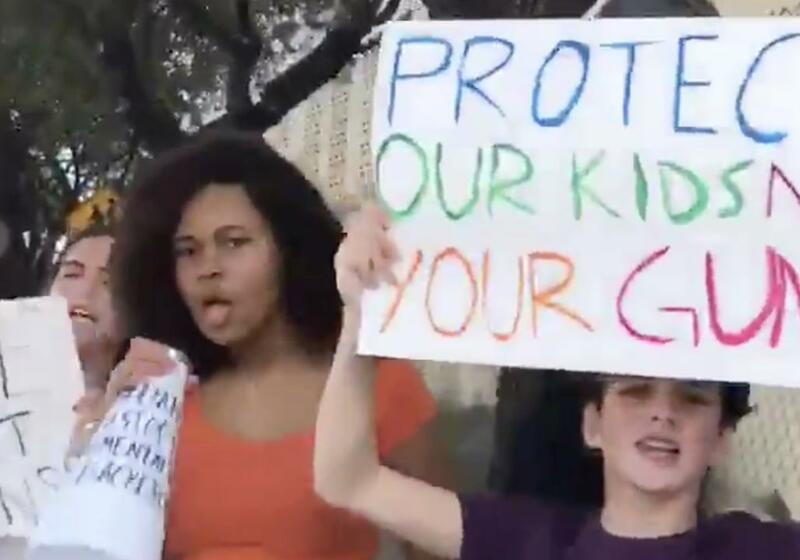 Following that rally, the next day students from the school called for students across the country to gather in a national day of action called “March for Our LIves” where there will be a rally in Washington DC and similar actions in cities across the country, to demand that politicians start caring for kids more than they care for guns. What has been notable in new student-led campaign is the strident, clear, bold language. Whereas so much of the gun control movement in the US focuses on moderate demands, this group is calling a “call a spade a f**king shovel.” Rather than talking only about technocratic policy fixes – the focus at the moment is on the source of the problem – the political power of the National Rifle Association. There is so much anger here. The anger of being abandoned by people who are “meant” to take care of you. There is a generational energy that is spilling out where the students have decided to take matters into their own hands. That could be a powerful mix. The generational narrative is a universal one – easy for any young person to understand. And it’s a very versatile one – it applies to gun control but it also applies to other issues like education or health care too. This will be an interesting movement to watch. If you want to keep track follow it on facebook here. To watch Emma Gonzalez’s speech go here.